On September 19, on the second day of ,, Clean Up the World - Clean-up Georgia "campaign, bank of the river Mtkvari has been cleaned up (Lower Ponichala ). 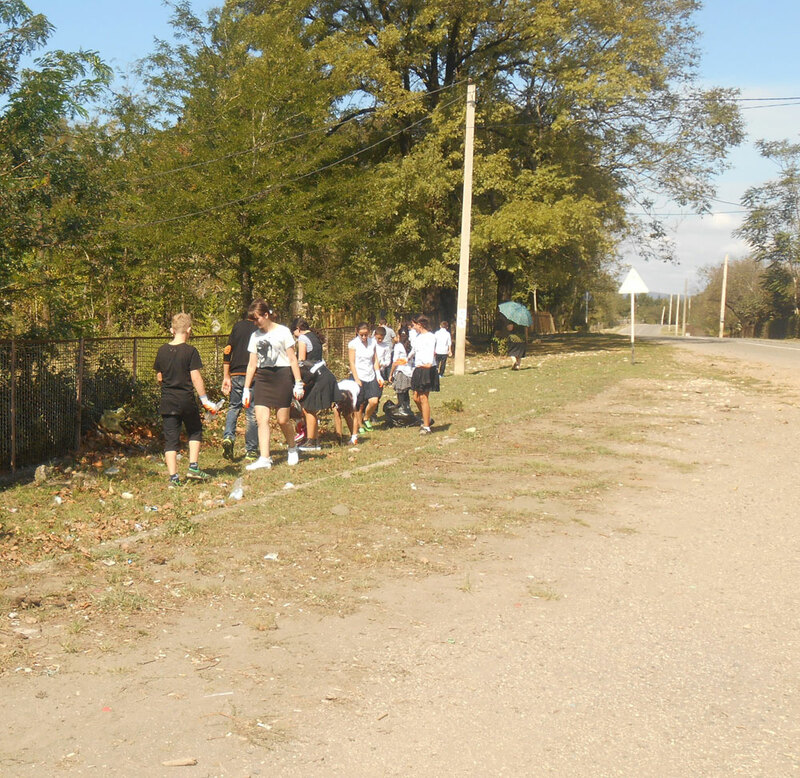 Along with the organizers, Komarov school and N16 public school students, volunteers took part in the event. A total of 40 volunteers. During the action 0,12 ha area has been cleaned up, 4 m3 of waste was collected, which was taken by the relevant services to the landfill. 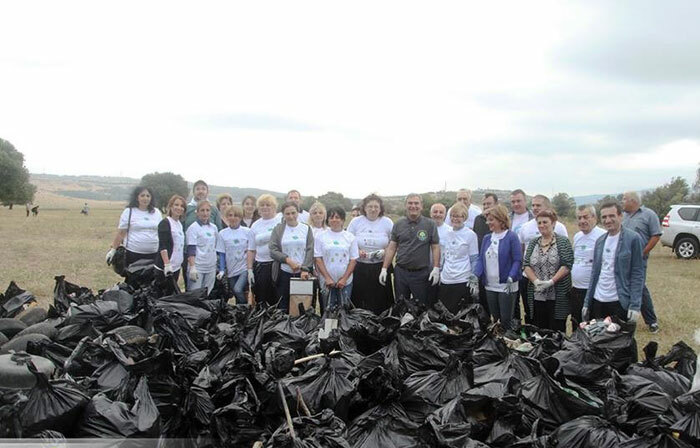 On September 18, in parallel with Tbilisi campaign, clean up actions were carried out in Tetritskaro Municipality, organized by the regional coordinator of the Greens Movement and in cooperation with Tetritskaro Municipal Cleaning Service. During the action about 10,200 m2.area has been cleaned up and around 4 m3 of waste were collected, which has been taken by the relevant services to Marneuli landfill. 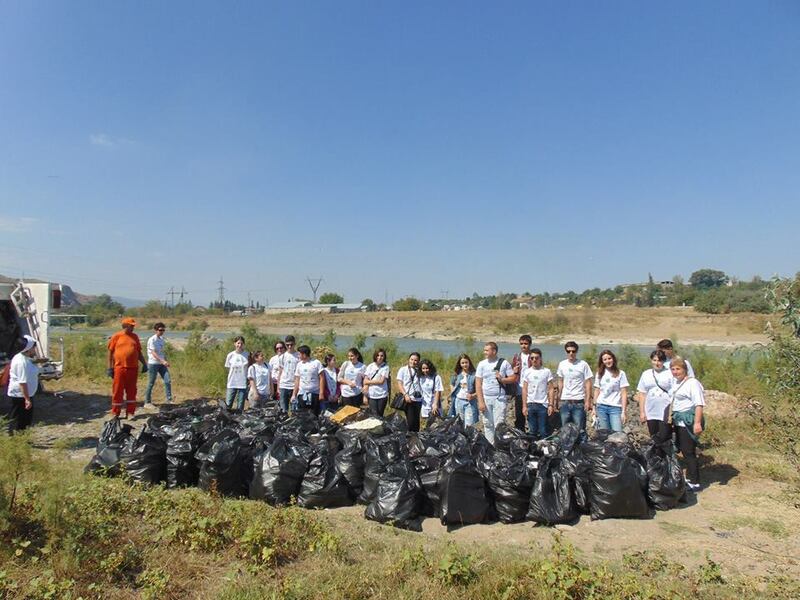 On September 18, in parallel with Tbilisi campaign, large-scale clean up actions were carried out in Terjola Municipality, organized by the regional coordinator of the Greens Movement of Georgia, where around 300 local residents and about 1000 school students from 24 schools took part. During the action Nakhshirgele –Kutaisi section of Terjola –Kutaisi motorway has been cleaned up. Around 28 m3 of waste were collected . On September 18, in many countries of the world the annual clean-up campaign - ,, Clean Up the World” has started and will be continued for three days. Within the campaign the world environmental map has been designed, which contains clean-up actions in the participating countries. Amongst them is Georgia, and it was the 121 stcountry marked on the world environmental map as a memeber state in 2010. On occasion of upcoming events "Clean Up the World - Cleanup Georgia" and "Sweden Environment Days in Georgia"